As the market continues to moderate, there will be more focus on yield by investors seeking to maintain strong cashflow. Investors need to consider the flight to quality and how to respond to falling rents. This month we consider where to find yield and ways to future proof your cashflow. Please book in to our next seminar on July 20 on Regional vs Metro Markets. We also look at the impact of the May budget on taxes, superannuation and pensions. Camperdown is our suburb of the month and check out inspiration corner to put some zing in your day! Hobart (+4.6%) and Canberra (+1.9%). Rental rates have fallen over the past year in Brisbane (-0.3%), Adelaide (-0.4%), Perth (-8.6%) and Darwin (-16.2%).Hobart and Canberra are the only capital cities to have recorded stronger rental growth over the past year compared to the previous year. Significantly higher levels of housing construction - most of which are units. "With housing supply, and subsequently rental supply, continuing to rise as growth in wages and the population continues to slow, it is unlikely we will see a turnaround in rental markets in the short-term. As a result, renters will continue to have more choice and may actually be able to move into superior rental accommodation for similar or even lower costs. Over recent years landlords haven't had much incentive to push yields higher due to the low cost of debt and strong capital gains. However, with capital gains starting to slow, investors may place a renewed focus on rental returns which will be difficult in the face of falling rents and increasing rental supply." This flight to higher quality stock and higher vacancy rates in lower quality stock has been the norm in commercial property markets, but previously in residential property, new/ modern units and older, boutique blocks in quiet streets were more or less separate markets. With capital growth slowing in the major capitals we are likely to see investors place more focus on yield. Brisbane is a major city that is primed for more growth and delivering stronger yields. We are actively sourcing good quality properties in the Brisbane market where we find houses for between $300k to $400k delivering up to a 6% yield. When you add a granny flat, we can push the yield to 7%-8%. With apartments, you need to be very selective about where to buy in Brisbane as there are pockets of oversupply and areas where units are in high demand. We are also seeing strong rental demand in Newcastle and have completed several dual living and duplex projects for clients there. Within the capital city markets, lower yields will also drive investors to consider renovations to boost yield. New kitchens, bathrooms, fresh carpets and fixtures will make your property stand out from the crowd when leasing. It's important to remember both sides of the property coin when investing - yield and growth. Yield is the cashflow that helps you service the loan repayments (or deliver positive cashflow), while capital growth is the bedrock of growing your wealth. I often get asked which one is more important....the answer is BOTH. But they are important in different ways. Each property investor will have individual financial circumstances that are unique to them and they will need to set specific goals and strategies that reflect their income and equity levels. If you would like help trading up your home or growing your property portfolio then please call my friendly team of buyers agents on 1300 655 615 today or email your wishlist to discuss your requirements. Regional vs Metro Markets: Where can you maximise your returns? You are warmly invited to our mid-winter seminar where we look into the future for both regional and metro property markets. Now that Sydney and Melbourne have peaked, you may be wondering "Where can I select a location to maximise my property investment returns"? To answer this compelling question and many more, we have assembled a special panel of speakers to help you understand the pros and cons of each market. What are the radically different dynamics of regional and city markets? Which has the highest capital growth potential? Where are the cash cows in each type of market? Where can you find both? Where we are at in the current property cycle? How to select "Investment Grade Property"
What are the New Lending standards exactly? What the Banks are doing and reacting to market conditions? How and where can investors secure finance? Reserve your ticket today to avoid missing out. The current $80,000 threshold above which each $1 earned is taxed at 37 cents will be increased to $87,000 from 1 July 2016. 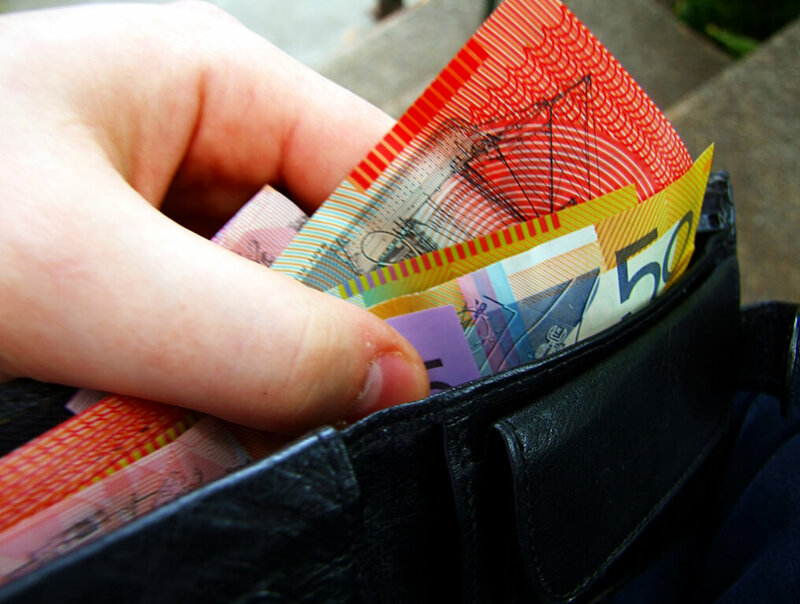 The higher income cut-in means tax payable by middle income earners will be reduced from 37 cents to 32.5 cents for all income earned between $80,001 and the new threshold of $87,000. This equates to a tax saving of around $315 a year (ignoring Medicare levy) for those on incomes between $80,000 and $180,00. The Government will enshrine in law that the objective for superannuation is "to provide income in retirement to substitute or supplement the Age Pension." Accumulated super in excess of $1.6 million will be able to be retained in a member's accumulation account (with earnings taxed at 15%). Members already in pension phase with balances in excess of the $1.6 million cap will need to roll back the excess to accumulation by 1 July 2017. David Hasib is the Driector of Chan & Naylor Wealth Planning www.chan-naylor.com.au. Contact David at financialoptions@chan-naylor.com.au. General Advice Disclaimer The advice provided on this article is general advice only. It has been prepared without taking into account your objectives, financial situation or needs. Before acting on this advice you should consider the appropriateness of the advice, having regard to your own objectives, financial situation and needs. If any products are detailed on this website, you should obtain a Product Disclosure Statement relating to the products and consider its contents before making any decisions. Chan & Naylor Wealth Planning disclaim all and any guarantees, undertakings and warranties, expressed or implied, and shall not be liable for any loss or damage whatsoever (including human or computer error, negligent or otherwise, or incidental or consequential loss or damage) arising out of or in connection with any use or reliance on the information or advice in this article. The user must accept sole responsibility associated with the use of the material on this site, irrespective of the purpose for which such use or results are applied.